“By embracing chastity, they [religious] make their own the pure love of Christ and proclaim to the world that he is the Only-Begotten Son who is one with the Father (cf. Jn 10:30, 14:11). By imitating Christ’s poverty, they profess that he is the Son who receives everything from the Father, and gives everything back to the Father in love (cf. Jn 17:7, 10). By accepting, through the sacrifice of their own freedom, the mystery of Christ’s filial obedience, they profess that he is infinitely beloved and loving, as the One who delights only in the will of the Father (cf. Jn 4:34), to whom he is perfectly united and on whom he depends for everything. By this profound ‘configuration’ to the mystery of Christ, the consecrated life…acknowledges with wonder the sublime beauty of God, Father, Son and Holy Spirit, and bears joyful witness to his loving concern for every human being” — Vita Consecrata by Pope St. John Paul II, #16. Consecrated life is a vocation in which the person commits themselves to Christ in a radical way—by vowing chastity, poverty, and obedience as a way of following Jesus more closely and more fully living their baptismal consecration. In Vita Consecrata #16, Pope St. John Paul describes religious life as “conforming one’s whole existence to Christ in an all-encompassing commitment.” For religious men and women, this total dedication of self to God through prayer and the service of others is lived together in community, sharing everything in common. Consecrated life also means that one’s love for God extends to God’s people: a religious must have the gifts of generosity and a universal heart, as the consecrated person is called to become a spiritual father or mother of many people. To sum up: Consecrated life is a lifestyle of deep faith and a closer following of Christ, where one offers one’s whole self to God, serving others wholeheartedly without expectation of reward on this earth, living a poor, chaste, and obedient lifestyle which has its reward in heaven. Consecrated life has many diverse forms, from cloistered religious nuns and monks, to active communities of religious men and women, to less familiar forms such as consecrated virgins and secular institutes. Some male religious communities are priests; others are a mix of priests and brothers. The Catechism of the Catholic Church briefly describes each form of consecrated life, which I’ve referenced below according to paragraph numbers. A more complete description of the different forms of consecrated life can be found in Pope St. John Paul II’s Vita Consecrata, paragraphs 6-12. Religious life is the more common and visible form of consecrated life. There are two basic kinds of religious life—although they are not always clearly divided. Cloistered nuns and monks live a monastic religious life, usually structured around praying the full Divine Office. Their main apostolate or mission is to pray for the world, but they often take on certain tasks or apostolates that they can carry out on the side, in order to evangelize and to support themselves while still giving priority to the liturgy. “Cloistered” means that they live a hidden life, separated from the world, in order to pray and offer their lives for the salvation of others. Active religious life includes the communities of sisters, brothers, and priests who are more visible and active in serving the world and the Church. These communities usually structure their prayer and life in common around their mission. Communities that dedicate themselves to nursing, teaching, and social work are usually active communities. Some communities—like my own, the Daughters of Saint Paul—seek to blend the contemplative aspects of monastic life with the active apostolate of the active communities. Their prayer lives are similar to those of a nun or monk, but their days are dedicated to apostolic service. It’s a particularly beautiful and demanding expression of religious life. Discerning which congregation or community God calls us to is part of the discernment for religious life. People realize that they are called to religious life in different ways: some will recognize the call and then start to look for a community or congregation. Other people meet a congregation, and on the basis of their attraction to that community’s way of life, will begin to discern a vocation to religious life. Some people are attracted to a particular mission; others focus on a community’s spirituality. What’s important to recognize is that a vocation to religious life includes a call to a particular community. Discerning religious life includes discerning which community God calls us to. In a future post, we’ll look a bit further at some practical steps that can be taken to discern which community one is called to. 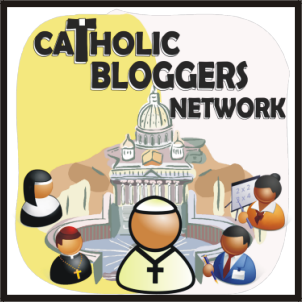 In the meantime, browse www.vocationnetwork.org to see the huge variety of religious life and of consecrated life. The framework for consecrated life, especially religious life, is being dedicated to God for the sake of humanity, being an apostle of God’s love sent to serve all humanity in the particular spirit of one’s community. The service may be primarily that of prayer (for a cloistered contemplative) or a combination of prayer and action. To live a genuine religious life a universal heart is needed: that is, the desire and ability to generously embrace and serve all people—not restricted to one’s family or neighbor or parish. With the vows of chastity, poverty, and obedience, a religious is called to be a spiritual mother or spiritual father to everyone. This universal love is well-expressed in religious who become missionaries, who go wherever they are needed. Through their vows, religious men and women live a closer following of Christ with a special intensity. Obedience is a “deep listening” to God together that frees religious from their own egos and wills and unites them to the will of God. (Obedience sometimes requires a deeper faith to see the will of God in the superior’s decisions.) The vow of poverty frees a religious from material goods so that he or she can depend entirely on God, putting all of his or her trust in God, and proclaiming with a poor and simple lifestyle that God is the greatest Treasure. With the vow of chastity, a religious offers his or her heart completely to God. God’s intimate love that the religious contemplates daily becomes the source and impetus for enthusiastic, loving service of others. Religious live their intense radical following of Christ together, sharing everything in common. “Little” virtues that help life together blossom—such as humility, generosity, patience, and living in ongoing conversion—can make community life a tremendous support on the journey. As a lifestyle on a human level, religious life seems to include many sacrifices and fewer satisfactions. But the joys of belonging to Christ completely, of knowing the love of God so fully, and sharing the love of God with others, overshadows the sacrifices. This special witness to joy is a frequent characteristic of authentic religious life, and it’s a reminder to all Christians—including the religious—that the joy of heaven is the only true lasting joy.